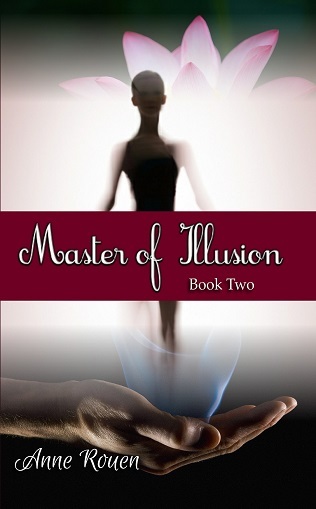 Buy Master of Illusion Book Two on eBook! Thank you for requesting to buy "Master of Illusion—Book Two". It is available to purchase as an eBook from $4.05 US. Simply click on the icon that suits you and follow the prompts to purchase. Did you know, you can read an eBook, even if you don't own an eReader? This book can be read on a Kindle, Kobo or Nook eReader; Computer; iPad; iPhone; or Android platform. Remember, if you love the book, leave a review where you bought it and at Goodreads! Buy Master of Illusion Book Two in Paperback! "Master of Illusion - Book Two" is now available in paperback at the following retailers, both online and in store. If your favourite book store isn't listed, never fear, just ask them to order the book through Ingram. Available from US $20 + shipping and handling (where applicable). Click on the store icon of your choice to order your copy today! Would you like to 'try before you buy'? Download a free excerpt. It is Paris, 1892. The story of the tormented genius, Angel, and his childhood friend, Elise, continues in an entanglement of secrets and subterfuge. The young girl who once graced the stage as prima ballerina now directs the highly successful Opéra Magique as Madame Dupont, where audiences flock to be cast under the spell of the Master of Illusion and his fairy-like assistant, Sprite. Walking the fine line required to keep in abeyance the forbidden passions of her star and her goddaughter, the beautiful comtesse de Villefontaine, Madame Dupont uses all her ingenuity to divert the jealous rage of the comte and the suspicions of the Police Chief, Captain Moreau. Few people know the truth behind the Master's identity, yet one of them is about to give him away. As their opera house and lives are suddenly plunged into unthinkable tragedy, fate thrusts Angel and Elise—the Master and Madame—onto a new path of discovery, where they battle choices of life and death, of courage and sacrifice, as they finally discover the answers to questions they have yearned for since childhood. In discovering the truth of the past, the truth about the Master and the truth about love, do they find the solace they so crave?